Ivory is a legacy of larger mammals. The chemical composition of ivory is mainly calcium phosphate, close to (Ca3OH)2(PO4)6Ca4 with some organic matter. Ivory is a bone-like, organic mineral called dentine that makes up tusks and teeth of many species of mammals from both land and sea. Land mammals that produce workable ivory include elephant (finest ivory), hippopotamus, wild boar, and warthog. Sea mammals include walrus, sea lion, sperm whale, and narwhal. Fossil ivory is a name sometimes used for material taken from the mammoth but this is not a true fossil because no silicification has taken place. In other words tens of thousands years have done little to alter the mineralogy of tusks from fossil mammoths, and they are still composed of true ivory. The majority of all harvested ivory by far comes from elephant tusks. A single elephant tusk can weigh up to 90 kg. Before the 1989 ban on ivory trade, the African elephant population had fallen from 1.3 million to 609000 in just 10 years. Ivory exports, including much illegally harvested elephant ivory, had risen to over 700 tons, or 75000 elephants, per year. 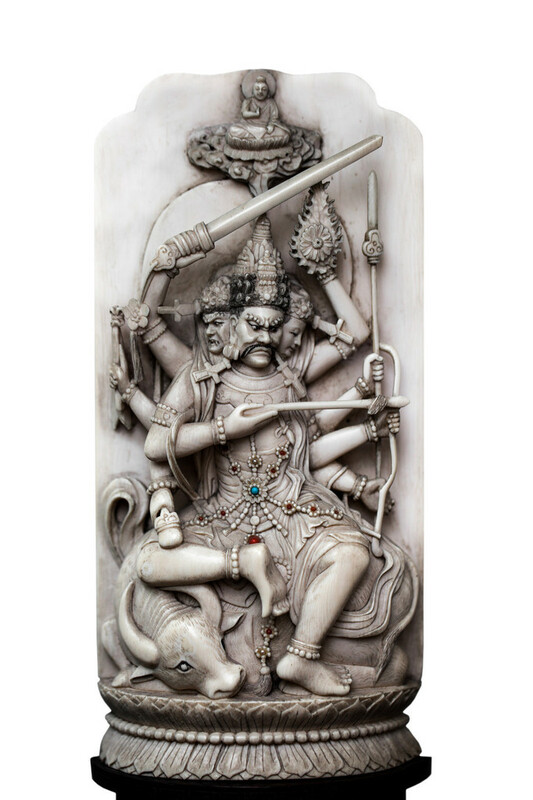 Ivory has been used in carving and jewelry for tens of thousands of years. Carved ivory dates back, 32000 years ago and have been found in France. In 2009 in the scientific journal Nature, a 35000-year-old carving of a woman was reported as being discovered from a cave in Germany. 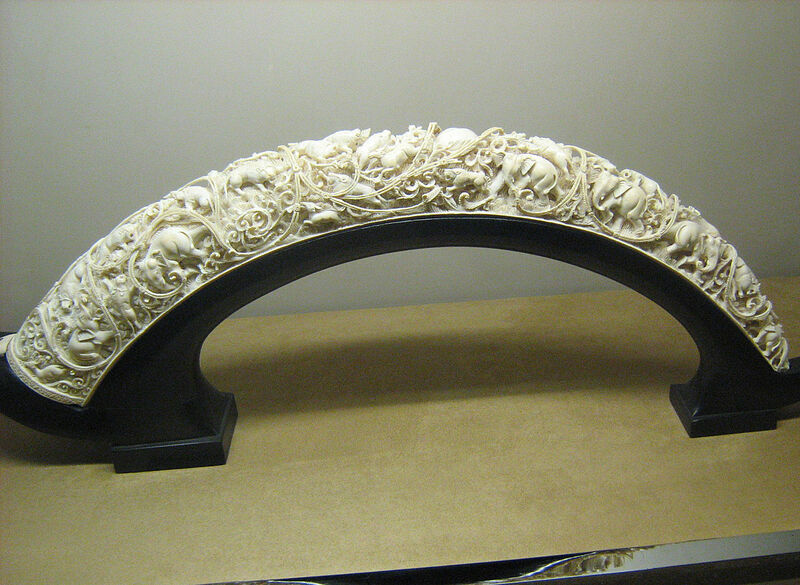 Ivory was a very important medium in Asian culture, used in fine carvings dating back at least to Han dynasty (220 BC). 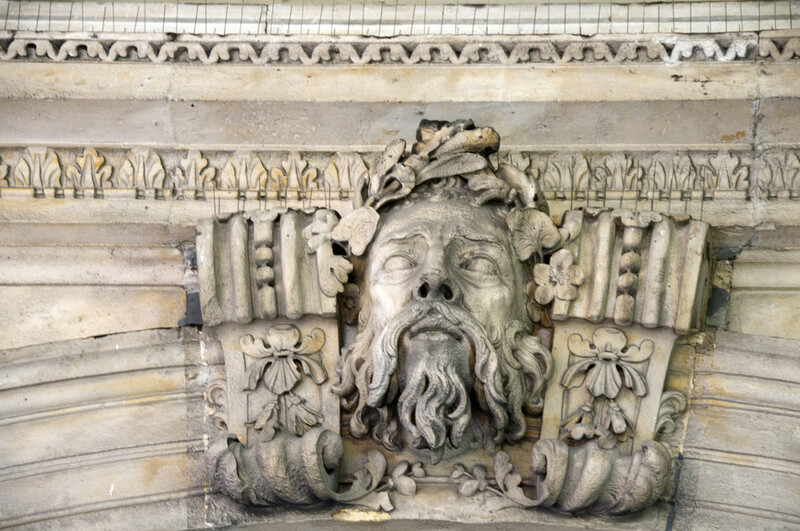 In the early and mid-twentieth century, ivory was probably best known as a veneer material for piano keys, chess pieces, combs, and small figurines. Today these items are simulated using plastics or synthetics. Jewellery that are made from ivory material has some serious drawbacks. For instance, if they are kept in a hot and dry atmosphere, they would shrink and crack. Ivory material also tends to turn yellow over times. As a tip to take care of ivory based jewellery, they should be kept away from perfume and other chemical as they will stain ivory and these marks can be difficult or impossible to remove. 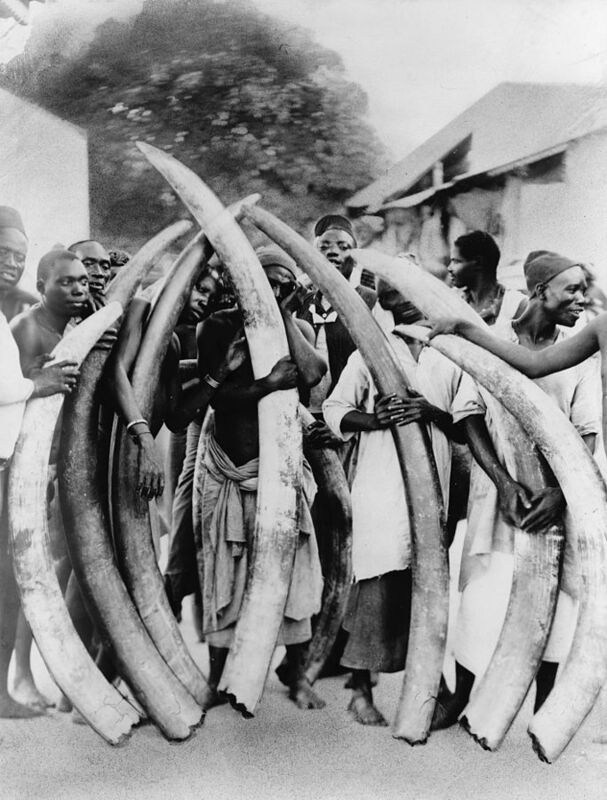 Men with ivory tusks, Dar es Salaam, c. 1900.